When we at RPGCodex learned about Michael A. Stackpole, a key original Wasteland designer, joining Brian Fargo's new team, we had this pretty great idea: why don't we interview him as well and hear his thoughts, more than twenty years later, on the way the possible sequel should be designed? There were a few things we were really curious about, and luckily, Michael was up for it, so here we have the result. We are extremely grateful to Michael A. Stackpole for taking his time to do this interview for us, and to Brian Fargo for making this happen in the first place! 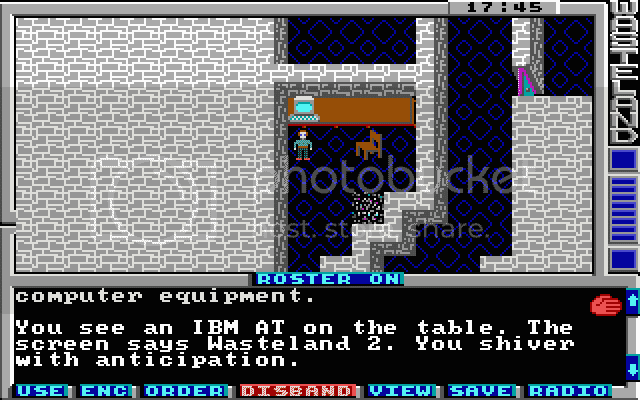 - Wasteland was an entirely new kind of computer role-playing game when it came out, both in terms of setting and design. This was an integral part of both the game's immediate appeal and the cult status is has since enjoyed. Do you feel that Wasteland 2 could also bring something new to the table, or should it attempt to bring back something that has since vanished from the genre? Michael A. Stackpole: To be a successful game, I think it needs to do both. We will be faithful to the original spirit and play of Wasteland, but we have to take a look at elements in other rpgs and see if they have a place in our project. Since other RPGs and MMORPGs have determined how a lot of today's players see games, and have set a bar for what they expect, to pretend they don't exist would be suicidal. We just have to find ways to make those bits and pieces fit in Wasteland, and the design will be flexible enough to do just that. - One of Wasteland's defining elements was its character system. The direct use of attributes and skills on the environment was unusual yet highly impressive for the time. A quarter of a century later, would you change anything about the original system? Would you expand on it, refine it, or perhaps even scrap it altogether for something completely different? MS: To preserve what players loved about Wasteland, the only real choice will be to build upon the original style of system and expand it. We did a lot with very few resources back then. I can't tell you the number of times Alan and I would be talking on the phone with tons of great ideas, but knew we were limited to a tiny number of them because of the limitations of computers and memory back then. As it was, Alan did a stunning job incorporating so much in the game, so we really made full use of everything we could do. We're already discussing new elements to add and systems that will make things seamless for the players. 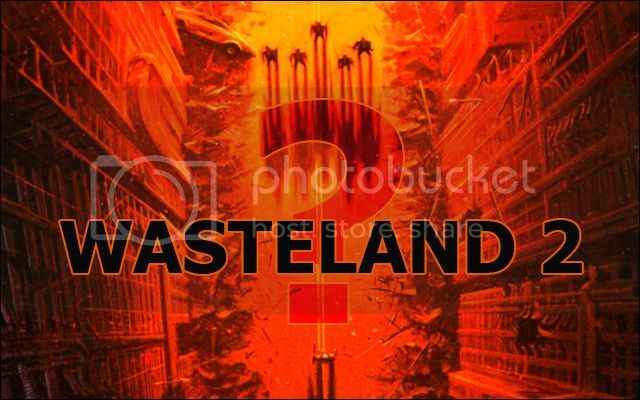 - Like many of the classics, Wasteland's rule system and design borrowed heavily from pen and paper RPGs. Given that current cRPGs seem to be influenced more by other video games instead, should Wasteland 2 be as firmly rooted in P&P as its predecessor? MS: The fact that Wasteland was and will be a turn-based system means that P&P style rules and systems can work very well. We start from that basis and build a killer engine. That the designers with system design can do fairly easily, especially working from what we already have. After that, we have scenario designers who use those tools to create the adventures. What Wasteland had that a lot of RPGs lack today is depth and consequence. I firmly believe that's something that can be taught to designers, and encouraged in the development phases by editors. In short, designers will pick up the skills to create a game worthy of the Wasteland legacy. - Wasteland built upon the ideas present in older cRPGs. Similarly, Fallout was constructed on Wasteland's foundations. Do you think that it is important to build upon the style of more recent games? If so, which modern games do you think come closest to sharing Wasteland's design goals? Do you feel that there are elements that were introduced in Interplay's Fallout games that could make their way back into Wasteland? MS: As I noted above, we have to take into account more recent developments in games. In that sense, everything is on the table. We can pick elements that work very well in games and figure out a way to make them work in our game. We can also look at elements that never reached their full potential which we can spin up into something really exciting. Plus, we now have a chance to address after the holocaust gaming in depth and length and breadth in ways we couldn't before. That's the part I'm most looking forward to. - Wasteland made heavy use of text descriptions to convey the game's atmosphere. Nowadays, as graphics and sound quality has improved substantially since then, almost all cRPGs let the graphics and sound do the talking. Do you feel that text descriptions are adequate these days? Would a voiced narrator colouring your every move be a contemporary alternative? MS: In the past quarter century (it hurts me to say that), I've spent a lot of time coordinating the development of some large worlds, like FASA's BattleTech Universe. I've worked with other authors, like Timothy Zahn, Kevin J. Anderson and Aaron Allston on coordinating elements for Star Wars® books. What I've learned through all those experiences is how to coordinate individual efforts and their contributions into the overall project. Short form, if the overall project has enough flexibility, you can allow designers to go nuts with their maps and not have it ruin the overall design. As long as what they do, and the best case scenario of how a player can come out of their map doesn't upset the balance, and as long as they include any specific design element to speed the overall story, you're good to go. So, we have the systems and room for folks to come in, and I'm really looking forward to their contributions. Thanks to MMXI for editing the questions!